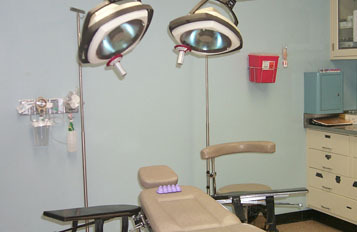 Prior to surgery, the patients were given a thorough pre-operative workup. With the exception of a strikingly high glucose level, all medical parameters were within acceptable limits. High glucose, a common indicator of diabetes, was excluded as a risk factor due to the absence of polydipsia, polyurea, retinopathic or neuropathic changes, with a normal urine analysis. No other medical contraindications to surgery were discovered. It should be noted that patients refused a urine drug screen. 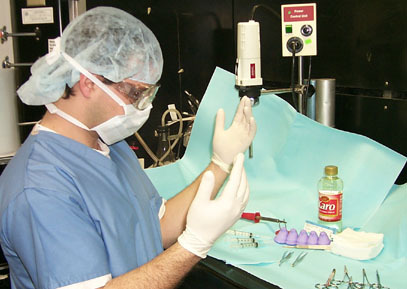 Following the pre-op workup, the patients were situated in a sterile field. 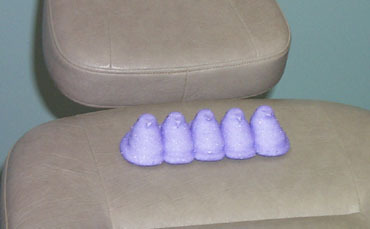 Shown at right is Dr. Jim, acting chair of Peep surgery, scrubbed in and ready to begin the procedure.